Ronald Searle, his Magnificent Men in Their Flying Machines and countless passionate artists and engineers who create extraordinary contraptions that take to the skies! These were the inspirations for artist Liz Dorton, together with year five pupils and Mrs Morris and Mrs Southern from All Saints CE VC Junior School. Exploring real and fantasy flying machines, including Leonardo da Vinci’s amazing drawings, 18th century balloonists, and the intrepid Wright brothers, the children had fun making models of their own remarkable inventions. 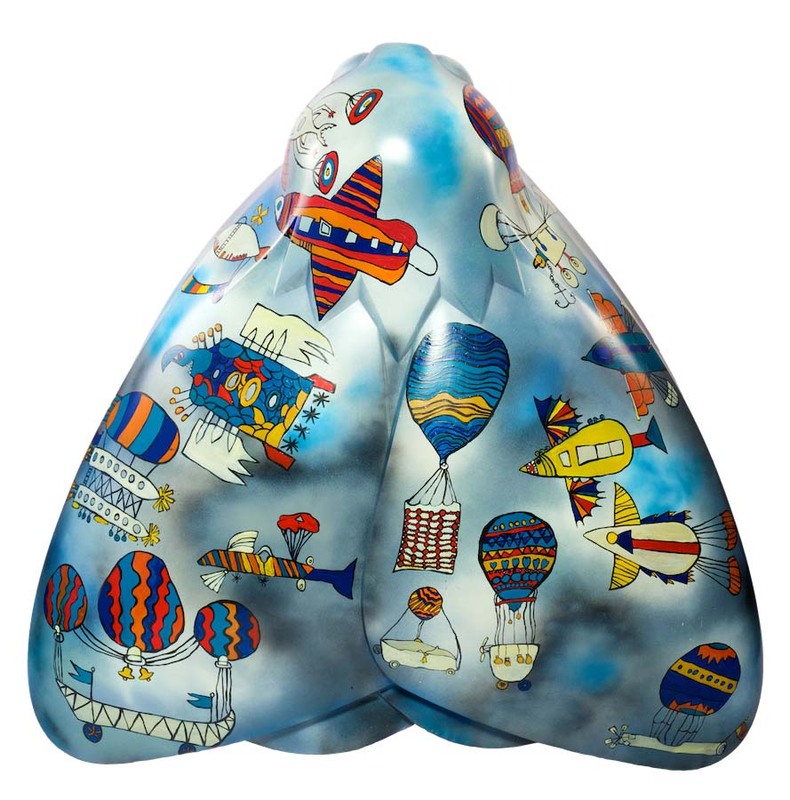 Their resulting drawings were then transferred onto the open skies of the big moth sculpture, and the children coloured them into life and flight. Liz Dorton is a Hull-based artist and puppeteer focusing on sculpture, giant lanterns, theatrical costume and visual arts theatre. Her works draws from local history, issues and events. Liz loves to adapt and transform natural and waste materials, and likes anything that can be made to move! She has over 30 years experience of facilitating training, workshops and performance with people of all ages in the community and Health and Education services. Wykeland is an established property development company which has delivered over 10.5 million sq ft of commercial space across England and Scotland in its 45-year history.